Paralympian Oscar Pistorius's sentence and conviction for the killing of his girlfriend Reeva Steenkamp marks the end of his world athletics career, Sports Minister Fikile Mbalula has told The Cape Argus. 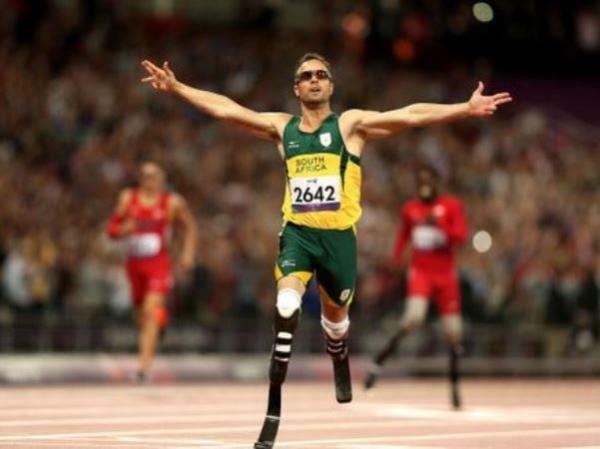 Paralympian Oscar Pistorius's sentence and conviction for the killing of his girlfriend Reeva Steenkamp marks the end of his world athletics career, Sports Minister Fikile Mbalula has told The Cape Argus. "For me, that [Pistorius's conviction and sentence] was the end of the road of his journey," Mbalula was quoted on Thursday. "It is unfortunate that it had to end in this manner, but the courts have spoken and we will respect their decision." Mbalula reportedly told the newspaper that Pistorius had helped to "open doors" for South Africa in the international sporting scene. "It [the sentencing] has been a very sad moment for us in sport, in the sense that Oscar was the epitome of wisdom, skill and triumph over adversity. "...I do not think Oscar will be able to come back in terms of athletics."